Mixing rock salt with warm water is a natural mouth wash. It heals gum faster when injured and keeps away bacteria to an extent. It should not be used when there is Tooth ache caused by a decayed or broken tooth. There are problem specific mouthwashes for people with gum problems, dry mouth, decay prone, sensitive tooth etc. Under the guidance of a dentist you can select the one for you. Few mouthwashes are prescribed prior to brushing to make plaque removal more efficient. Few are done after meal. Most of them are used undiluted. After rinsing with the mouthwash, gargling with water or any food intake should be avoided for the next half an hour. Avoid snacking between meals. If you are more fond of sweets and chocolates you can have it along with your meals. Non sugary chewing gums with Xylitol can be used after every meal to raise the pH level and quantity of saliva which on a long term cleans your teeth and prevents dental decay. Effective removal of plaque is essential for dental and periodontal health. 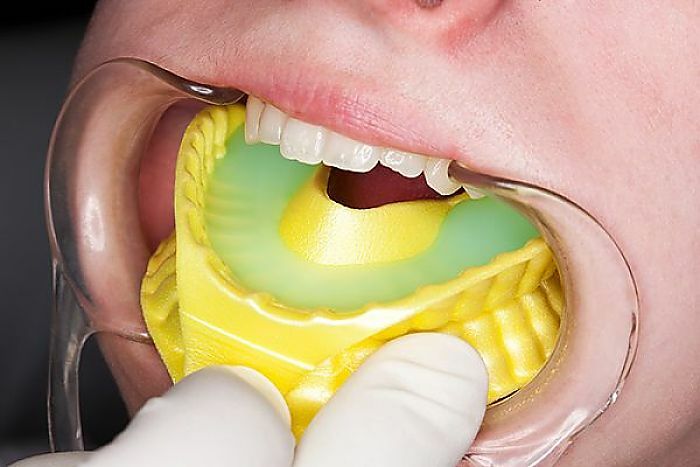 Plaque control by tooth brushing alone will not be sufficient to control gingival and periodontal diseases because, periodontal gum diseases start predominantly interdental. Plaque formation begin at the interdental spaces where tooth brush does not reach. According to the space between the teeth interdental cleaners such as Dental Floss or Interdental brush can be chosen. 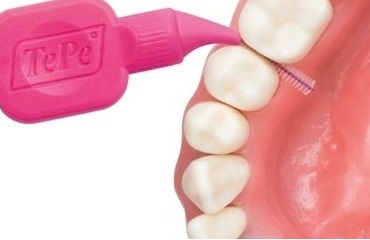 Interdental cleaning should be done prior to brushing. Flossingevery day helps to remove plaque between teeth. 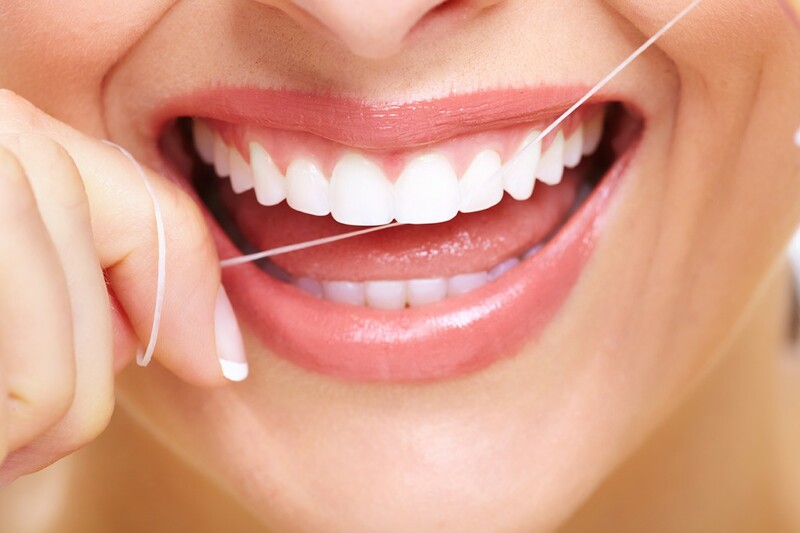 Dental floss is the most widely recommended tool for all those without much of interdental gap. Flossing can be made easier and less time consuming with a floss holder. (please check our video). Interdental Brush is used to clean when the interdental gap is more. There are various sizes of interdental brushes. According to the gap present, the size is suggested by the dentist. 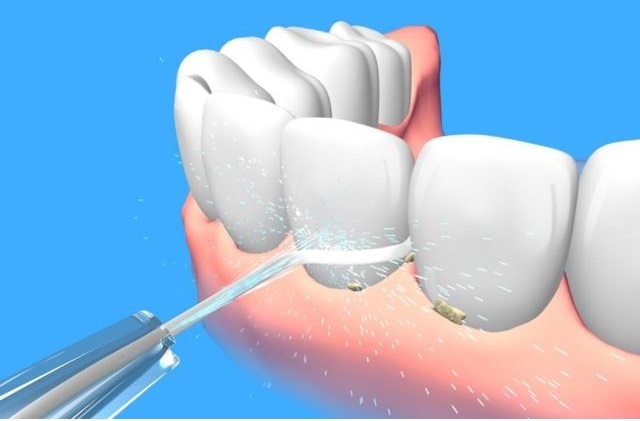 Intedentalbrushes are inserted in between teeth and short back and forth strokes given to clean the gap (like one cleans the bottle neck with a brush). Brushing is done mainly to remove plaque which is a collection of bacteria. Plaque forms within hours, so brushing twice a day is a must. Type of brush is basically choice of the individuals. However, hard bristled ones and horizontal vigorous brushing should be avoided. Proper brushing technique should be followed. Otherwise, there will be loss of enamel and recession of gums. Change your brush once the bristles widen. You can use electric brushes for efficient cleaning. After brushing clean the surface of your tongue using tongue cleaner because the rough surface of the tongue harbour lots of bacteria. 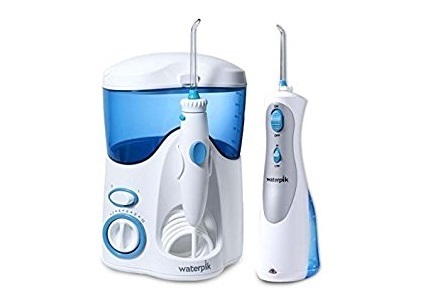 A pressurized water irrigation for gums and teeth as a mode of removing plaque and keeping oral cavity clean. Researches say that they can even substitute interdental cleaning. It is a great boon in maintaining the health of Implants, Crowns and Bridges and Periodontal tissues. It is done by the dentist to select suitable toothpaste, mouthwash as well as Calcium Phosphate and Fluoride gels for you. Fluoride treatment done every 6 months helps to reduce decay. Regular visit to the dentist once in 6 months and Oral Prophylaxis will make you say “Bye” to your dental problems.